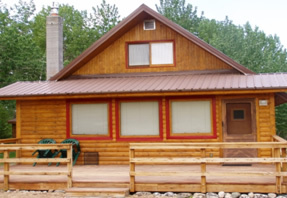 Log Home Refinishing - Vinton Construction, Inc.
Are you overwhelmed and confused about how and when to maintain your log home? 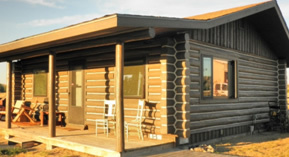 The professionals at Vinton Construction, Inc. can bring new life to your home and restore the natural beauty of your logs. We can strip or media-blast your logs removing discoloration and identifying any areas of infiltration. 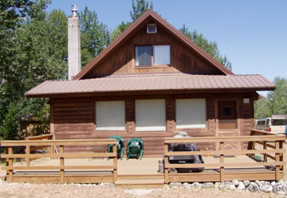 We will refinish your structure with environmentally safe products that will bring the beauty back to your logs while preserving the integrity of your home. We can even change the color of your logs! 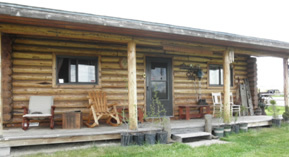 Once your logs have been restored, we will provide you with the information necessary to keep future maintenance to a manageable level.